As you may have noticed this is the very first edition of our newsletter that has been entirely online*. We aim to cut down on our carbon footprint and to start making it easier for you to access our information. Although this may have changed, the service itself has not! We still provide confidential, impartial and independent information and support. Our service helps parents/carers and young people (aged 0 to 25 years) to find their way through the changes to the Special Educational Needs and Disabilities (SEND) system, in particular we can support you through the new EHCNA process and the transfer from Statements to EHCP. This is a FREE service and we are here to help and support children, young people and their families. To speak to someone about getting help from an Independent Supporter you can telephone 0300 300 8088 for CBC SEND PYPPS. If for any reason you are unable to speak to someone, please leave a message and we will respond to you as quickly as we can. We are passionate about working together to improve outcomes for children, young people and their families. We hold FREE, monthly drop in sessions during term time for parents/carers, children and young people regarding SEND in an educational setting for residents in Central Bedfordshire. Our sessions are located in Dunstable, Leighton Buzzard, Shefford and Sandy. They are all held in Children’s Centres – *note that Leighton Buzzard has a new venue. Come along and meet a volunteer or an officer to discuss any issues that may be concerning you. KIDS Special Educational Needs and Disability (SEND) Mediation services help parents and young people resolve disputes about Education, Health and Care Needs Assessments (EHCNA) and EHC Plans, as well as other SEND related issues. Disagreements are usually with the local authority (LA) and sometimes with the school or college. Health and Social Services can also be involved. Parents/carers and young people can use KIDS mediation services before making an appeal to the SEND Tribunal. Mediation can be very successful and means you may not have to go to Tribunal; if you are not happy with the outcome of mediation, you can still make an appeal. The service is free of charge. It is for children and young people with SEND (or who may have SEND) age 0 to 25 and their families. KIDS have a big team of specialist SEND mediators who are very experienced and have nationally recognised mediator accreditations. When identifying a child or young persons educational need and/or considering a request for an Educational, Health, Care and Needs Assessment (EHCNA) there is a lot to consider before submitting a request. We are more than happy to talk things through with parents/carers and you as SENCos and go through any paperwork and questions about how to use the existing evidence to put together the best request possible. We can advise about processes, timescales and the legal right of appeal. 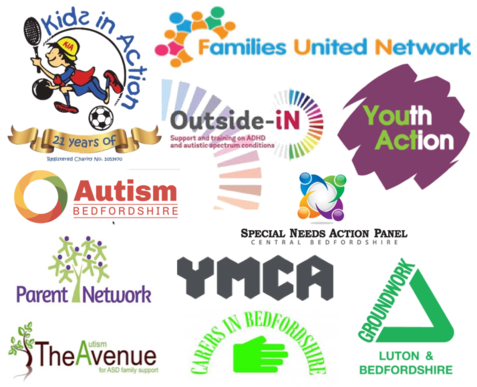 We work closely with many organisations in and around Central Bedfordshire to ensure that you have the best information, advice and support possible. For a full list of support groups, useful contacts and events, visit our Facebook and Twitter pages.